Cabell County Schools (CCS) comprises 26 high-achieving public schools and centers that serve over 13,000 students. CCS relies on Hanover’s custom research queue to address targeted questions specific to district goals. 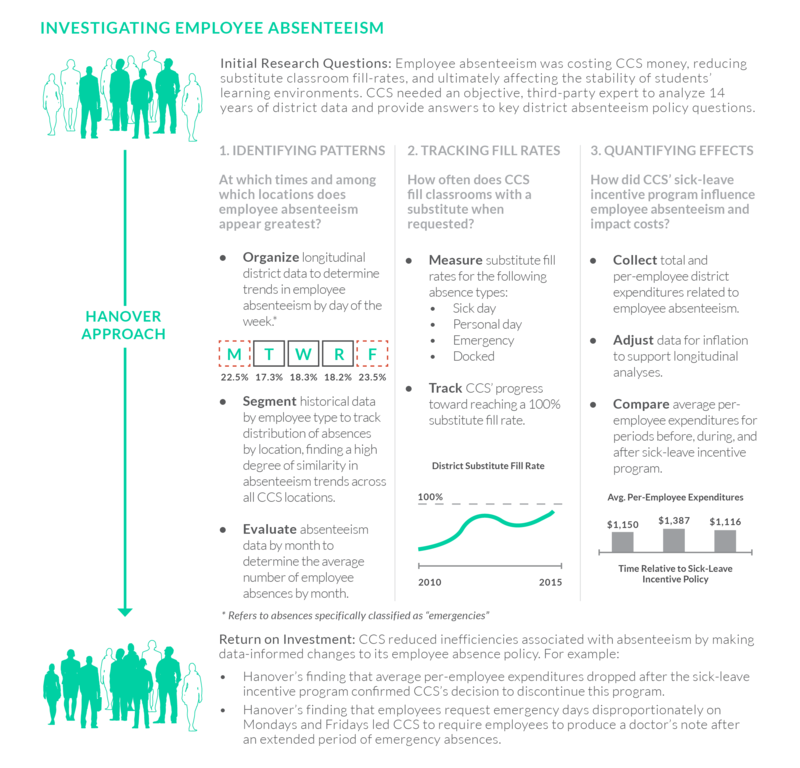 CCS leveraged Hanover’s quantitative analysts to evaluate its employee absenteeism policy in order to increase district efficiency.